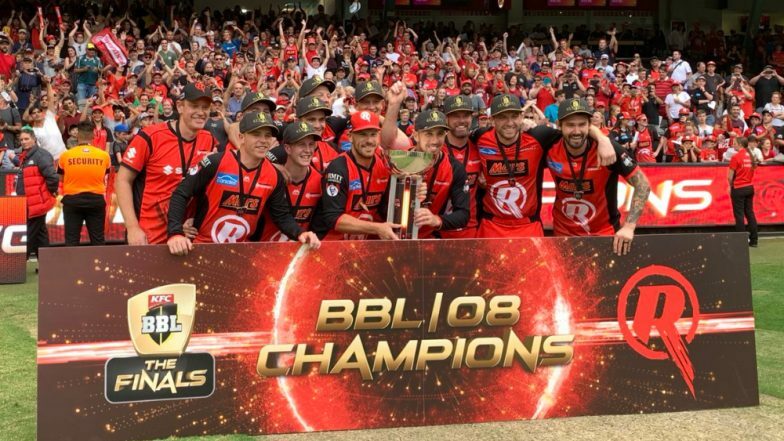 Melbourne Renegades stunned Melbourne Stars to clinch their maiden Big Bash League (BBL) title. Stars while chasing a target of 146 at one stage were 93/0. However, the Stars lost seven wickets for just 19 runs and that saw them required 28 off the last over to win the contest. It was by then late for Stars to cross the line and Renegades were handed their first BBL title. In the 18th over, Stars were further dented when Daniel Christian picked two wickets. He first removed Set Gotch and then had Dwayne Bravo caught. All of a sudden, Stars seven down with just 112 runs on board. From the last two overs, Stars needed 33 runs with just three wickets in hand and all they could manage was 19 runs. And Renegades emerged victorious by 13 runs. It was truly a sensational performance by Renegades bowlers, who never gave up despite openers putting up a mammoth opening stand in chase of such a low target. Once Renegades scripted the win, fans on Twitter expressed their disbelief. Put to bat first, Renegades managed to score 145 for five in their allotted 20 overs. Thanks to unbeaten 80-run stand for the sixth between Tom Cooper and Christian, Renegades managed to post a competitive total. Cooper and Christian scored 43 and 38 respectively. BBL 2018-19: Dwayne Bravo Takes a Stunning Catch During Melbourne Renegades vs Melbourne Stars T20 Match, Watch Video. Apart from Christian’s two wickets, Chris Tremain and Boyce picked two wickets apiece as well. Harry Gurney chipped in with a wicket as well. Christian was named Man of the Match for his all-round performance.